Jasper feels vintage and just the tiniest bit unexpected, too. But it belongs with the fast-rising favorites of recent years. Thanks to Elisabeth for suggesting our Baby Name of the Day. Believe it or not, this name has never left the US Top 1000 – though for many years, it languished underused near the bottom of the charts. Today, the name is staging a comeback, nearly reaching its former late-nineteenth century heights. Some credit goes to the hundred year-rule, meaning that Jasper has been out of use so long that it feels fresh and new once more. Like Hunter and Xavier and Parker, the name ends with -r.
And of course, nature names are all the rage these days. And the letter J tends to appeal to parents, with boy names ranging from the evergreen James to the novel Jaxon ranking in the Top 100. The name comes from the Christmas story. While the three Wise Men are not named in the New Testament, tradition calls them Caspar, Melchior, and Balthazar from at least the sixth century. Gaspar, Caspar, and Jasper are all cousins, along with Jesper, Gaspard, Kacper, and even Gaspalino. Most agree that the name means treasurer, which tracks with the image of a king bearing gifts from afar. Here’s a tricky question: which came first, the gemstone or the Biblical figure? In Old French, iaspis became jaspre, and that gives us our word. The gemstone comes in many colors, though we tend to think of it as green. It’s been used since many centuries BC, throughout the ancient world. Famous bearers of the name abound. King Henry VII had a Tudor uncle by the name, the Duke of Bedford. In the twentieth century, there’s author Fforde, as well as artist Johns. Jasper Johns brings to mind another J name made boosted by an artistic association: Jackson, as in Pollock. It puts an artistic twist on a once underused name. British designer Terrence Conran has a son by the name; Jasper Conran designed clothing for Princess Diana and won awards for his costume and set designs. The name’s popularity reaches beyond the English-speaking world. It’s big in Belgium, while Jesper and Caspar make the Top 100 in several Scandinavian countries. Though in many places, it seems to be fading – just as Americans discover it anew. Around the turn of the twentieth century, the name had a sort of Jethro-Earl vibe. It felt a little bit bumpkin. Later, Disney used the name for one of Cruella de Vil’s puppy-snatching henchmen in 101 Dalmations. And in romcom The Holiday, Kate Winslet pined for an unfaithful Jasper. Even if Kate’s beau proved unworthy, The Holiday probably points to this name’s style profile: vaguely British, somewhere between Hugo and Tarquin. The first version of this post listed Jasper’s 2007 ranking: #465. Since then, the name has climbed to #209. It still feels like an artistic, underused name with a strong tie to the natural world and the Biblical tale of the Magi. But it’s quickly becoming a mainstream favorite, too. Would you consider Jasper for a son? Or do you prefer Caspar, Jesper, or one of the other versions? Originally published on July 5, 2008, this post was revised and substantially updated on October 18, 2017. 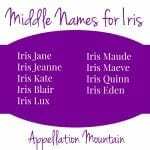 I am naming my son Jasper due 12/25/2017 and I am having a hard time choosing a middle name. I like Jasper Llewellyn or Jasper Alfred (family name), but no one seems to like them but me. Also, I’m asking on social for opinions on Alfred v. Llewellyn. Thanks so much for your help!!! Now I am really leaning towards Llewelyn. My last name starts with H. JLH or JAH. Jasper makes me think of the woods. My only association is with Jasper National Park in Canada. It is a very rugged and beautiful part of the Rocky Mountains, and has great skiing. So, for me it’d be like naming a child “Cedar” or “Juniper”. I would use Gaspar/Gaspard if trying to evoke the Three wise men from the Bible. 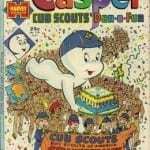 I considered Jasper and Casper for our first born. 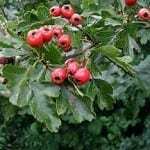 It’s not popular but it’s a known and recognised name which is easy to say/spell. I’ve never considered it feminine sounding. We are British though so that may make a difference to perception. We went with Reuben in the end. I find Jasper warm, friendly, and spunky too. I just adore him. Gaspard might be the more obvious choice for us, though he feels heavier and harder to say. Lola, I too am an avid Balthazar fan, and think that would be a superb choice for you. But you have so many, you’d have to have a litter to use all my favorites! Abby, I’d forgotten I’d asked you to write about Jasper, so this was a pleasant surprise. Thank you! I think I have to wrangle him back onto the list. I thought he’d be the perfect compromise name for us as DH seems to love cowboy names (Jesse, Luke, Cash (! )), but he just thinks it sounds hickish. I’m working on him, though. My four year old is on a Jasper kick. Every bunny she’s ever received has been nameed Jasper. No clue where that came from, but I can live with it. 😛 Me, I’d rather Casper/Caspar or better still, Balthazar (one of my Grandmother’s 12 brothers) but I find Jasper worthy. I love his crisp feel, snappy sound and the way he looks written down. I can easily see a creative Jasper (it gives off that artsy vibe to me) but also a solid working guy. Japer the lawyer? check, Jasper the painter? check, Jasper the President? check, Jasper the Art dealer? check. See, he fits all over the place. If he didn’t sound patently ridiculous with my overtly Scottish surname, I’d use him myself, despite his lack of nicknames, I find Jasper warm, friendly and spunky. And I like that. I LOVE Jasper! Thanks to my lovely daughter for introducing me to Twilight, I’ve found a lot of really neat names, including Jasper. It does sound a tad feminine, but also very strong. It will definitely be popular in the near future, when all the Twilight-loving teens are having kids. My (female) cousin in fact is Jasper but I think it’s not so bad for a female! Sorry brain freeze! I meant it’s not so bad for a male. […] we’re on color names, did you see Dantea’s list? […] Cattiaux via Flickr Tuesday is an actress, Wednesday is an Addams Thursday is the heroine of Jasper Fforde’s novels. 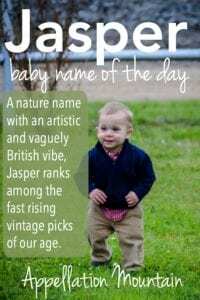 […] Jasper – He’s a nature name with a Colonial Revival vibe, plus his ends-in-r sound is terribly current.